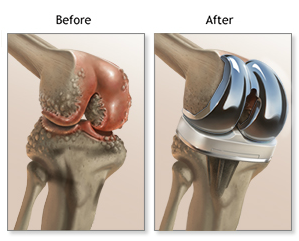 Joint Arthritis is a debilitating condition in which the joint cartilage wears, exposing the surface of the bone. Typically arthritic pain comes from the rubbing of two bones against one another. 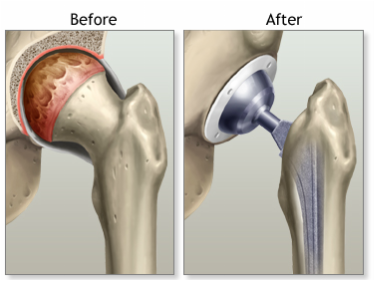 A Total Knee or Hip Replacement is a surgical procedure performed to relieve the pain and disability from arthritis. Individuals will undergo extensive physical therapy beginning the following day, but full recovery will take 6-12 months.